Fraser Valley – FVN AM News Monday February 25, 2019. CHWK Phony School Gun Scare Snapchat/Facebook, Oscars, Maple Ridge Homeless Camp Arrests, BC Mixed Doubles Curling Camps In Abby, FV Health Care Foundation Screening on Aging – Your Second Fifty. Be the first to comment on "FVN AM News Monday February 25, 2019. 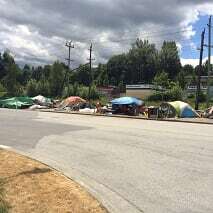 CHWK Phony School Gun Scare, Oscars, Maple Ridge Homeless Camp Arrests (VIDEO)"